We provide van rental for the United Kingdom, our prices include free delivery. We offer a wide selection of vehicles to choose from and all of them are modern and well maintained. 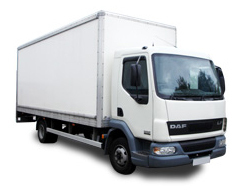 Despite having a fleet of modern vehicles, our prices are extremely competitive. This is perfect for people with tight budget. All of our prices are inclusive of all insurance. Our free delivery and collection service provides you with your van rental anywhere in the UK. Our van rental service offers you different types of vans that will perfectly suit any of your needs. SC Vehicle Hire also decreases its vehicle price the longer you rent. We take out the stress related to renting a vehicle. We provide well maintained reliable vehicles, allowing you to drive in comfort. Whether you need a small van for just the day or you need a luton for a month – we can help! Included in our quote is roadside assistance through the AA. We know that your time is valuable that is why we aim to get your van rental sorted as quickly and effectively as possible. Our prices are inclusive of delivery and collection any location in the United Kingdom. Have any questions? Please get in contact with us. We offer FREE delivery and collection for a more convenient service. Eliminating the hassle of collecting and dropping off your vehicles. You can choose to visit any of our branches or let us bring your rental vans to your doorsteps. We also cover the entire UK, and we can deliver them to any location you prefer. Delivery fees are included in our prices, so can choose whatever option comfortable for you. Collect your rental van to any of our branches or we can bring it to your preferred location. Just make sure that an authorised person is there to claim and accept the rental vehicle. We have a massive fleet of vehicles that includes small vans, medium vans, large vans, Lutons, tipper vans and more! These vans can be delivered to any location in the UK. With this vast selection of vans, we can help you figure out what is the perfect van for you and your budget. Just make sure to tell us what you need and the purpose of your hire when you talk to one of our team. We will provide suggestions and recommendations that can be the perfect fit for your needs. SC Vehicle Hire also assures you that every vehicle from its fleet is modern. They are also regularly serviced and maintained for better performance. Our van rental also includes comprehensive insurance and roadside assistance from AA or RAC for travel convenience. We also allow our vans to be used in Europe as long as you inform us beforehand. We also offer a diverse selection of minibuses, trucks, coaches and more. Just contact us and tell us what you need and we will provide you with the best vehicle that suits your needs. Our vehicle fleet includes VW Caddy, Ford Connect, Transit Short Wheel Base, Transit Long Wheel Base, 4 meter Sprinter, Toyota Hilux, Small Wheel Base 5 Seat Crew Van, Ford Luton Box Tail Lift, Ford Transit Dropside, 3.5 Tonne Tipper Transit, Long Wheel Base 6 Seat Crew Van. SC Vehicle Hire has a vast, diverse automobile fleet that is regularly serviced and maintained. A huge selection of modern vehicles that will be perfect for any of the customer’s needs. We also offer unlimited mileage meaning you don’t need to worry about counting mileage for long trips. We take pride in carrying out an excellent service and affordable deals that our clients love. Here at SC Vehicle Hire prices includes free delivery and collection anywhere in the United Kingdom. We always have the perfect solution for you! Need to rent a van? Get the best deal and contact us now.